Today’s guest blog post, on the topic of characters – and an interview with one of hers – is brought to you by Jean Henry Mead. Like Marja McGraw, I include humor, romance and murder in my mystery / suspense novels, so I decided to interview one of my protagonists, who, after six books, seems like old friend that I eavesdrop on during the writing process. Sarah Cafferty is one of two senior amateur sleuths who hasn’t been her usual cheerful self since completing her latest adventure in Murder at the Mansion. Author: Sarah, why are you so cranky? You’ve shown good humor in my previous Logan and Cafferty novels. You’re too old for PMS. Sarah: Cranky? What do you expect? First you destroy the mansion. Then you send us flying off to Texas to escape the killer. And if that wasn’t bad enough, you allow a questionable character to talk us into hiding in a mountain cabin in the Alaskan outback, which is even more dangerous. Author: I’m sorry, Sarah. I know it was traumatic, but you have to admit that it was suspenseful. Sarah: Where were you when we nearly froze to death in the tundra? Sitting in your comfortable chair thinking up ways to get us into deeper trouble? Author: That’s my job. Would you prefer that I replace you and Dana with younger sleuths? Sarah: Dana and I are only in our early sixties. Not some elderly widows with walkers. We can do everything that younger sleuths do. Sarah: With the possible exception of skateboarding and scaling tall buildings. Author: If that’s true, I think I’ll have you bungee jump in the next novel. Sarah: Unless you’re joking, Dana and I are taking a hiatus from your mystery series. Author: What about our readers? You don’t want to disappoint them, do you? Sarah: Haven’t we done enough? In The Village Shattered you send a serial killer after us. In Diary of Murder a vicious drug gang. In Murder on the Interstate you have a homegrown terrorist group kidnap us while they’re planning to take down the entire country. And if that wasn’t enough, you have a wolf killer cause us to wreck Dana’s Escalade and then stalk us on Gray Wolf Mountain. (Taking a deep breath.) Then you send us to Texas in Murder in RV Paradise where you have me wading into a lake to retrieve a woman’s body, only to be suspected of the murder. I don’t call that paradise. Author: I’ve got some ideas that will knock your socks off. Sarah: That settles it! You can email us in Argentina. That’s where we’re going on vacation. If we don’t answer, you’ll know that some other novelist has decided to adopt us and treat us fairly. Author: You’ll be bored within a week and out of a job in a month. Novelists who are nice to their protagonists don’t last long in the publishing business. Readers want suspense as well as mystery. Sarah: I’ve got a great idea. You take my place and I’ll write you into some mysterious and suspenseful situations. You’ll love bungee jumping over a crocodile pit or waking up with rattlesnakes. I can think of lots of exciting scenarios to place you in. Author: Point taken, Sarah. From now on we’ll concentrate on mystery and go easy on the suspense. ­­­­­­­­­­­­­­­ Thank you, Jean. I loved it! Jean Henry Mead is a former news reporter and photojournalist. She’s the author of 21 books, half of them novels, which include the Logan & Cafferty series, Hamilton Kid’s mysteries, Wyoming historical novels, and nonfiction interview and history books, one of which served as a college textbook. She has also served as a news, magazine and small press editor, contributor to the Denver Post, and has been published in magazines domestically as well as abroad. and from this blog, my guests who have written on the topic of characters are… Anne O’Connell, Armand Rosamilia, Carol Crigger, Chris Redding, Christopher Starr, Ditrie Sanchez, Graham Smith 1, Graham Smith 2, Jane Davis, Jerry Last, Jo Barney, John Harper, Morgen Bailey, Nina Munteanu, Paul Lell, Rebecca Chastain, Sandra Humphrey, TJ Perkins 1, and TJ Perkins 2. 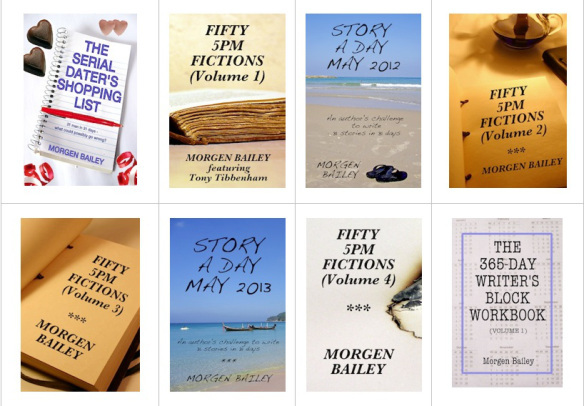 Thank you for hosting Sarah Cafferty and me on your splendid blog site, Morgen. I always enjoy visiting you here, and hope that your visitors will sample my Logan & Cafferty mystery/suspense series on Amazon.com..
That was a fun interview–and I don’t blame her for feeling irked at the author! I’m glad you enjoyed the interview, Pagadan. I enjoy writing about my senior amateur sleuths, especially Sarah Cafferty. 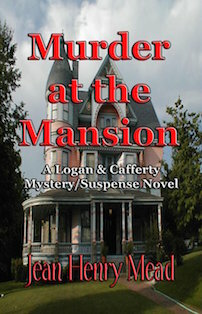 I love Jean’s Logan and Cafferty mystery series. Great interview with Sarah, Jean! Hi, Pat. Thanks for the kind words and for stopping by. I love your new book cover and look forward to reading Mistaken Identity when it’s released next month. Hi, Jean! It was fun spending time with Sarah again. A little strange, though, not having Dana beside her. Please give my best regards to my favorite sleuth team. And keep some for yourself, my friend. Hey, Earl. So good to hear from you. I hope you’ll get in touch and tell me about your latest work. Love the interview, Jean, and it’s good to see you here on Morgen’s site. I’m reading your latest now, Jean, but had to set it aside for a while due to one of life’s setbacks. I’ll get back to it soon. Thanks for the kind words and for stopping by, Marja. No worries about getting back to the book. I now about life’s setbacks. Enjoyed reading the interview, Jean! No wonder Sarah’s so cranky. She’s had some close calls. A very interesting interview, Jean and Morgen! Jean, I’ve enjoyed reading your books. I love mysteries that have both humor and romance. Thank you, Jacqueline, for the kind words. I’m glad you’ve enjoyed the series. Loved this! Your characters are so much fun! I’m glad you enjoy them, Jackie. I love your characters as well. All so true, Jean. I sometimes feel guilty for putting my characters through the ringer. But it’s all for a good cause, right? No wonder Sarah is so cranky! So, Jean, will you follow Sarah and Dana to Argentina and deliver another exciting adventure for us? Love Sarah’s feistiness! LOL. I’d love to follow Sarah and Dana to Argentina, Arletta, but ranch chores keep me grounded. What a fun interview! It’s a great way to reveal your characters personalities and a bit about your books. Well done!